AABSyS Information Technology Private Limited, a leading GIS, CAD and software outsourcing company, attended the InterGeo 2014 conference .The conference took place from 7th to 9th October 2014 in Berlin, Germany. 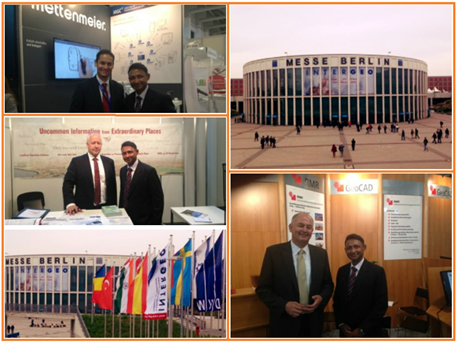 AABSyS Information Technology Private Limited, a leading GIS, CAD and Software Company recently attended the InterGeo-2014 conference in Berlin, Germany from 7th to 9th October 2014. The InterGeo 2014 saw a foot-fall of over 17000 GIS enthusiasts with more than 1400 delegates from various walks of life such as top management of leading GIS companies, political leaders, innovators, researchers and entrepreneurs. The event featured latest innovations and developments in the fields of Geodesy, Geographic information and Land management. 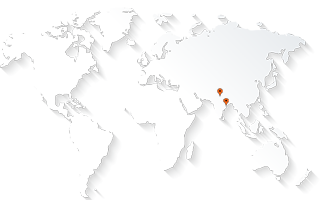 AABSyS is a leading GIS, Land information management and GIS software outsourcing company based in India which has created a niche for itself in the GIS industry. The strong credentials such as state of the art infrastructure, dedicated employees, client centric project management and robust financials place AABSyS in a unique position. AABSyS’s Geodesy, Geographic information and Land management services are widely known for being a remarkable combination of flawless deliverables that are cost and time efficient. AABSyS has always been a fore runner in using latest technologies and practices for land management, geodesy and geographic information services. The company is driven to provide hassle free, time bound and cost efficient services to its clients worldwide by understanding, and partnering with latest technologies, innovations and ideas. The conference was an amazing medium to enlighten AABSyS about the latest ideas and solutions that are being developed within the industry.